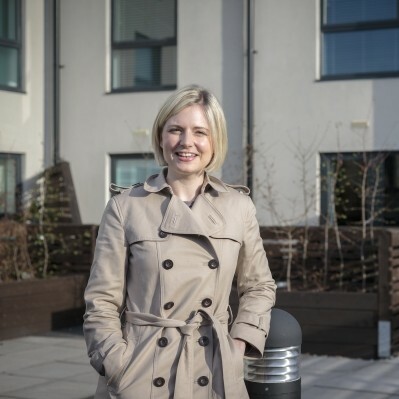 Three years ago, Aveen Kelly, 32, was given the opportunity to learn more about how Shared ownership works, a result of her employer Wandsworth Council’s efforts to encourage buyers in the community to consider the scheme. Armed with her knowledge of shared ownership - which enables first-time buyers priced out of the open market to purchase a share of a property and make straightforward monthly payments on the remaining share - she discovered XVII, a new shared ownership development in Tooting, South London. Although Aveen works for Wandsworth Council, she still had to register her details through a local home buy agent like every other potential buyer in the borough. After a year of living in her new home, Aveen took advantage of So Resi Plus, a scheme unique to Thames Valley Housing, which enables shared owners to buy an extra 1% of their home each year, without the cost of arranging a solicitor each time a share is purchased. XVII has now all sold, however, So Resi offers shared ownership on a selection of homes across London and the South East. See all of our home here or call our sales team on 02087080550.